an old adage I learned on my first construction job. It makes sense when you apply it to lots of different life experiences. It is definitely what I have always tried to do with ski lines and mountain tops. Lots of information, guide books, photos, beta from friends….etc…anything to make the day safer and smoother. After we finished our day on Carnes, Andrew and I wondered what to do next. He mentioned the NE face of Boulder peak and I got excited. I remember seeing it for the first time and going wow looking at the top pitch. I couldn’t remember much about it except awe and excitement. I did remember (or so I thought!!) that my friend Douggy, Troy, Rob and I can’t remember who else, had climbed and skied it. 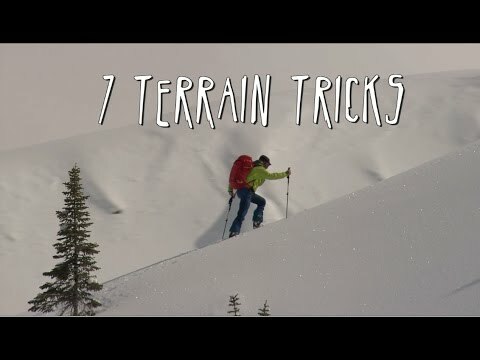 I remembered them mentioning a bit of gnarly ridge, a wild traverse and then a wicked ski. Thats all I knew about the line. When we drove in we got a look at the top pitch, which looked incredible and then we couldn’t see any lower. I figured we would have all our mountain tools so whatever was lower we would be able to work our way through the challenges that came our way. So we slept on the logging road, got woken up by logging trucks at 3:30 and left camp around 4:30. This tour had very little approach and within an hour we were going up and up the 5500 ft to ridge top. It was a head down sort of crusher but easy skinning in nice snow. This was cool, touring by Boulder 4 and looking at the steep little line Aaron and I skied in 2010. We couldn’t see an easy way to the North East Face. All approaches were either exposed to cornices, bergshrunds and steep ascents, or a wild ridge that was beyond my skill set. But looking far left we spotted a small little couloir that led out of the cirque and onto the Northridge. It had the least consequences out of all the options, so we chose it. A super steep skin on a 45 degree face, over two smaller bergshrunds… led to this wicked little couloir, steep and great boot packing. This little coolie brought us the top of our line, with a little boot packing to get us into position. We stared down the line, it looked incredibly tempting. And soon enough Andrew was shredding down. As typical canadians he wanted me to go first since I had booted up the couloir, but the line was his idea so i got him to go first. Wicked turns down the face…. but what we didn’t know is that the face has no” real exit. If you look down onto the bench it all ends there….. no gullies leading off, no ramps nothing. 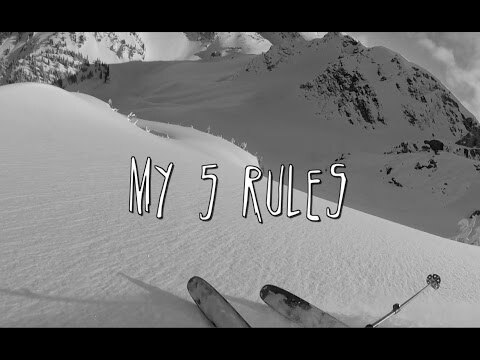 So we skied down, awesome turns and onto a ridge where i thought from my maps that we would be able to exit. Nothing looked good from where we were, steep cliffs and no escape. I pulled out my map and studied it a bit more. It looked like if we skied lower down the face that there was a ramp that we could pull out on and get to safer ground. It was warm and only getting warmer and I wanted to get away before the temps got any higher. It was somewhere around 11 am so we were ok, but looking around I didn’t like all the south and east slopes warming in the sun. Andrew sleuthed out a bit of a snow climb, ramp link up. The cliffs above were getting warm as was the snow we were hiking up and around on. Throwing on the rope and finding any anchor we could we eked our way around the cliffs and found a way through.. It wasn’t pleasant but we were fast and managed it and got away from all the slopes. It felt so good to be out of harms way of any warming slopes. Then I realized that we were about to ski down past Downie peak. This super impressive North ridge was something Dave and I climbed years ago, it was one of the more wild lines I have ever climbed and now we were going to be skiing under its face. Skiing past Downie ridge was incredible and the snow stayed decent right to the bottom. In recap we should have researched the line a lot more, I knew that we had the tools and skills to get us through but we had to push the conditions on those snow ramps. If we had done our research properly we would have known that there was no real exit off the bottom and maybe have found this hidden little couloir a little higher up. Funnily enough when I mentioned the route to Douggy, he claimed that they had never skied it and I had somehow invented all the beta for the route… so perhaps we were the first to lay turns down those slopes..